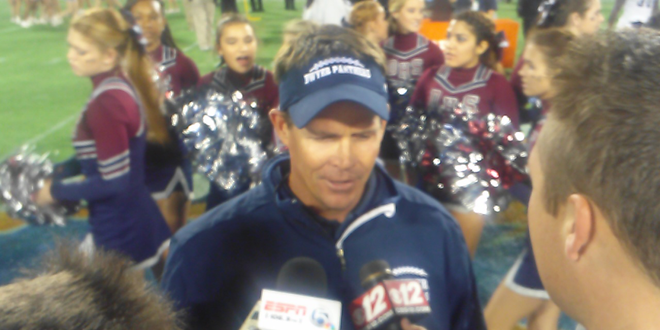 ORLANDO – Dwyer Head Coach Jack Daniels talks about his team winning the 2013 Class 7A State Championship. Dwyer defeated Niceville 55-39. The Panthers finished the season undefeated at 15-0.